Yesterday, the Health Resources and Services Administration (HRSA) issued a Proposed Rule (Proposed Rule) to cease any further delay of the 340B Ceiling Price and Civil Monetary Penalties regulation (CMP Final Rule) and change its effective date and implementation date from July 1, 2019, to January 1, 2019. Comments on the Proposed Rule are due no later than November 23, 2018, or 21 days after publication in the Federal Register, which is scheduled for November 2, 2018. HRSA stated that the Department of Health and Human Services (HHS) has determined that making the CMP Final Rule effective would not interfere with its development of "comprehensive policies to address the rising costs of prescription drugs... in government programs, such as Medicare Parts B & D, Medicaid, and the 340B Program," and that HHS therefore no longer believes that delaying the effective date is necessary. CMP Final Rule: The CMP Final Rule, which addresses the calculation of the 340B ceiling price and the imposition of CMPs on manufacturers that knowingly and intentionally overcharge 340B covered entities, was published in final form on January 5, 2017. 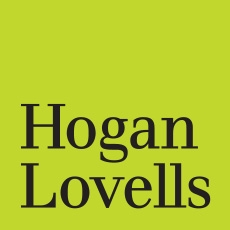 The Hogan Lovells alert reviewing the CMP Final Rule is available here. March 6, 2017: HRSA delayed the effective date of the CMP Final Rule from March 6, 2017 (the original effective date of the CMP Final Rule) to March 21, 2017, following the Trump Administration's January 20, 2017 "regulatory freeze" memorandum directing agencies to delay any regulations not yet effective by 60 days from the date of the memorandum. March 20, 2017: HRSA issued an interim final rule that further delayed the effective date of the CMP Final Rule until May 22, 2017, and asked for comment on whether the effective date should be further delayed to October 1, 2017. May 19, 2017: HRSA again delayed the effective date, this time to October 1, 2017, through a final rule published in the Federal Register. September 29, 2017: HRSA delayed the effective date of the CMP Final Rule until July 1, 2018, through another final rule published in the Federal Register. June 1, 2018: HRSA most recently issued a final rule further delaying the effective date of the CMP Final Rule until July 1, 2019, in order to "allow a more deliberate process of considering alternative and supplemental regulatory provisions and to allow for sufficient time for any additional rulemaking." HRSA's rationale for finalizing the CMP Final Rule and accelerating the effective date: On October 15, 2018, HHS, in a filing in connection with a lawsuit brought the American Hospital Association and other plaintiffs challenging the delay of the CMP Final Rule, stated that it "intend[ed] to issue a notice of proposed rulemaking by November 1, 2018, which [would] propose that the 340B Drug Pricing Rule take effect January 1, 2019, rather than July 1, 2019." The Proposed Rule now makes good on this promise. HHS no longer believes a delay in the effective date of the CMP Final Rule is necessary because it "has determined that the finalization of the 340B ceiling price and civil monetary penalty rule will not interfere with the Department's development of...comprehensive policies [on drug pricing in federal health care programs]." The provisions included in the CMP Final Rule have been "subject to extensive public comment, and have been delayed several times," such that HHS now believes that "it has considered the full range of comments on substantive issues" in the CMP Final Rule. HHS believes that finalizing this proposed change to the effective date of the CMP Final Rule would satisfy its obligation to implement statutory provisions to effectuate CMPs that Congress enacted in 2010. HRSA asserts that the shortened, 21-day comment period is "sufficient to provide affected parties the opportunity to provide their views as this rule is uncomplicated and simply proposes to change an effective date" and notes that "affected parties have had multiple opportunities to provide comments on the appropriate effective date of the [CMP Final Rule]."